There are no shortage of black slab phones on the market. From the iPhone to Android to Windows Phone. Even RIM has the Storm. When Palm first announced the Pre, they said to expect a family of webOS devices. The family has been limited to the Pre and Pixi, both featuring physical keyboards. For the most part, the market appears to show a preference to slab devices. HTC EVO, Nexus One, iPhone and so on. Prior to HP’s big product unveiling, we outlined our hopes for Palm’s new hero phone. The Pre 3 looks to be a very attractive phone, but it’s not a major departure from the current form factor. If your target market are folks interested in vertical sliders, then it’s a grand slam due to the limited number of devices that share this design (Torch, ?). 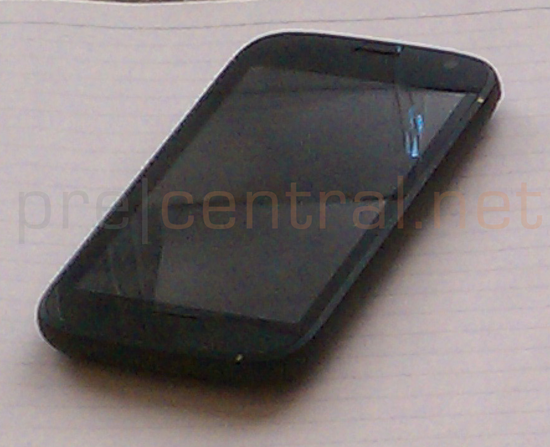 A tipster has sent PreCentral a photo of what appears to be an HP webOS phone in a slab format. Could it be? Is HP finally realizing that a large portion of users are demanding larger displays, without a cumbersome physical keyboard? Not much is known about this mysterious new device, but we’ll keep our eyes peeled. This could be a start of the webOS family of products promised back in 2009. 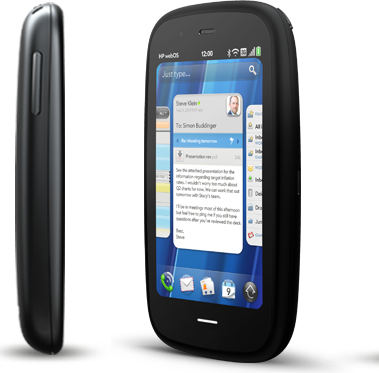 The phone that clearly was the “Think Small” portion of today’s webOS event was the new HP Veer. It features Palm Pre styling with a slide out keyboard. The physical width and height are about the size of a credit card. The HP Veer features the following specifications and it will be available this spring. No word on carriers or pricing yet. No word yet on carriers, or pricing. The HP Pre 3 will be available this summer. Palm webOS 2.1 Getting Pushed Today? 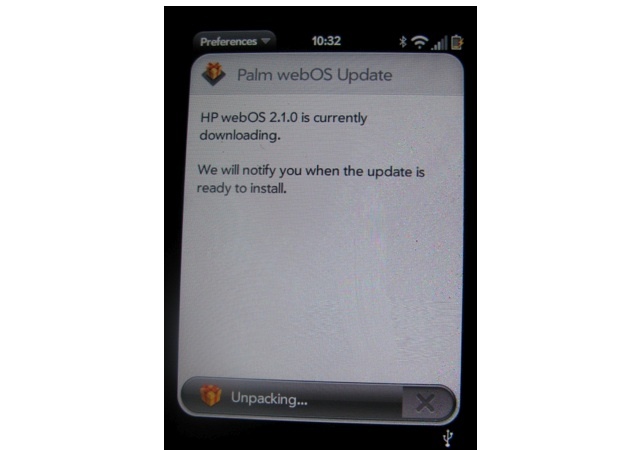 According to a few reports, Palm has started to push webOS 2.1 to some devices. The update is far from being widespread, but it’s been seen on the Sprint Pre, a Palm Pre 2 and a Rogers Palm Pre 2. No update here on an AT&T Palm Pre Plus, but that doesn’t leave us not hoping for some pre-event goodness. Anyone else seeing the webOS 2.1 update? HP Ordering 6-7 Million webOS Tablets in 2011? According to an article in DigiTimes, Inventec has landed an order to produce 6-7 million webOS based tablets in 2011. They also happen to manufacture the Barnes & Noble Nook Color. This rumor comes from “industry sources” and DigiTimes has a less than stellar track record. That in mind, it certainly wouldn’t surprise anyone if HP Palm announced a tablet sometime in early 2011. There is no bigger stage than CES and Palm hasn’t disappointed over the past two years. In fact, one would say they’ve set a high bar based upon their previous announcements. 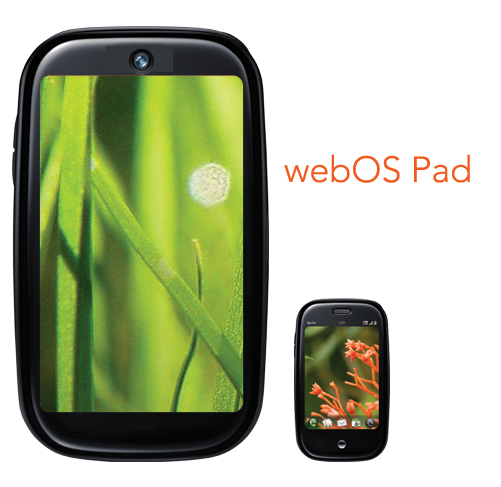 A webOS tablet would certainly live up to the standard. Those numbers seem a tad bit high, but HP did say they were doubling down on webOS. Building and manufacturing 7 million tablets would certainly reinforce that statement. webOS Hacked To Run On HTC Hero? 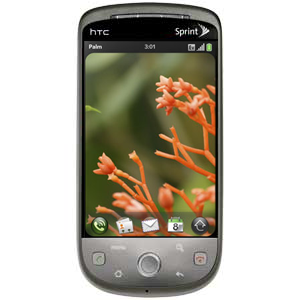 According to one developer at XDA, they’ve managed to hack webOS to work on the HTC Hero. The developer hasn’t posted any screen shots, but has promised to post instructions “after school“. Oh those crazy kids. This should be interesting, but why not something more exciting like an EVO or EPIC 4G? Over the past weekend, HP/Palm hosted a developer conference in NYC. Traveling over 30 hours to take part was Rod Whitby, the gentleman behind webos-internals. If you’ve found yourself putting your Palm Pre (or Pixi) in developer mode and downloading Preware, then you’ve been using software developed by webos-internals. As you can imagine, it gets rather expensive to purchase new phones, which is required to offer support for the rather large homebrew community. To help support the movement and purchase of new phones needed, they are in the midst of a campaign drive. If you’ve found their software useful, you can donate here. The group has already started work on updating patches to work in webOS 2.0. While we wait for the subsidized Verizon Palm Pre 2, HP has started offering the commitment free unlocked GSM Pre 2 through their online store. It will set you back a hefty $449, but for now that’s the only way you can get webOS 2.0 goodness in the states.